Duff Interview with Steve Jackson of The Pietasters! The Pietasters recently completed a quick tour of the NYC tri-state area the last weekend of January-- and prior to their January 27th show at the Brooklyn Bazaar in Greenpoint, I sat down with Steve Jackson, lead singer and co-founder of the legendary DC-based band to get his thoughts on any planned recording, the state of the DC ska scene, and the next big concert dates for the band. The Pietasters last album, All Day, was released back in 2007 and fans have been clamoring for another outing. 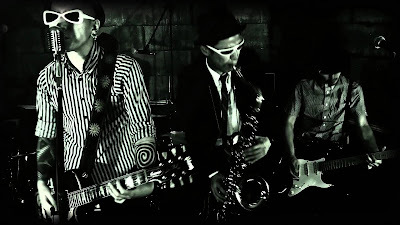 When asked about plans to get back into the studio, Jackson noted that they revolve around "Jeremy [Roberts, trombone] who is building a studio in his basement. We've got a ton of material and it's just a matter of editing and finishing recording, and we'll probably start fresh with recording rhythm tracks. So, there's something in the pipeline!" Jackson went on to jokingly note on how they may release the album: "With [the state of] music these days, I think we might do it all on cassette, not even a digital release," and that someone else will have to digitize and upload it. When asked what is driving some of their current songwriting, Jackson replied, "probably getting old is something that everyone is the band is experiencing. You get seven, eight, nine people in a band there's going to be a lot of things. The songs are just about having fun, and talking about when we had fun, and weird stories. One of the albums that [several band members] liked recently was the most recent Blur album [The Magic Whip]." 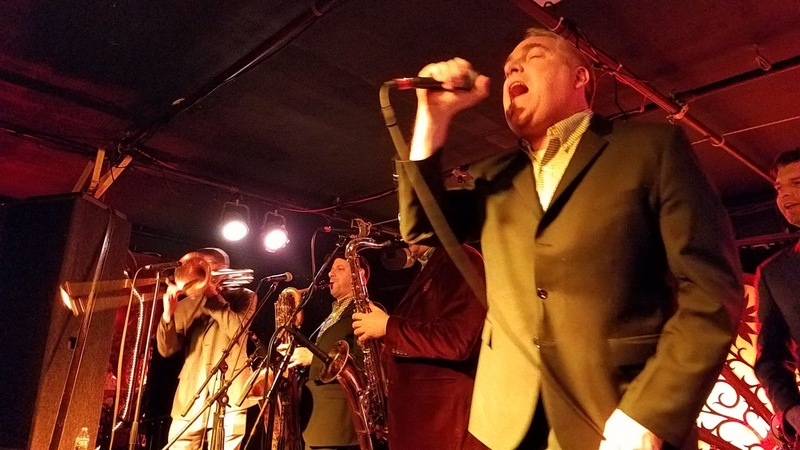 The Pietasters are currently the longest, consistently performing ska band in the DC area with Eastern Standard Time coming in at a close second. When asked about the current local scene and any upcoming bands of note, Jackson enthusiastically commented, "there's The Forwards, in Baltimore, and they just played with Lee "Scratch" Perry. So, Baltimore has this really cool, more of a reggae scene it seems, though it’s hard to keep any scene going." The Pietasters have for the past several years done a booze cruise off Manhattan, playing close to three hours on a boat floating down the Hudson and East Rivers. When asked whether the tradition would continue, Jackson noted that they were definitely planning it, and were working on a date in mid-August. The Pietasters went on to perform a killer headline show at the Brooklyn Bazaar--with support from High School Football Heroes, the Dull Blue Lights (formally The Snails), and Ensamble Calavera. They performed songs mostly from Ooolooloo, Willis, and All Day--Jackson front and center with his signature sing-alongs with the crowd, including favorites "Maggie Mae" and "Out All Night." See you next time on the dance floor, and drink, drink, drink, drink! 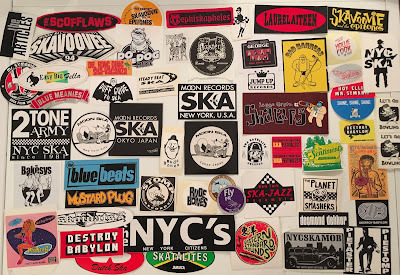 Ryan Midnight is a New York City area DJ, who can be found spinning ska tunes at various bars and supporting bands in the area. He can be heard on his weekly-ish podcast "100% Ska." Find him on Facebook at https://www.facebook.com/djryanmidnight/. To help promote the release of her new album Vessel of Love next week on 1/26/18, Hollie Cook has released the new single "Stay Alive," as well as a remix and dub by Hempolics, all of which can be listened to and downloaded from Merge Records' Soundcloud page. Ska/reggae fans in the NYC area should be sure to catch Hollie Cook live at Elsewhere (Hall) in Brooklyn on Friday, March 23, 2017; The Far East are opening. Cook is also playing dates this February and March in the UK, France, and in cities along the coasts of America (Durham, NC, Sommerville, MA, Washington, DC, San Francisco, CA, and Los Angeles, CA, to be exact). As long-time readers of this blog may know, we've loved Cook's work for some time now. 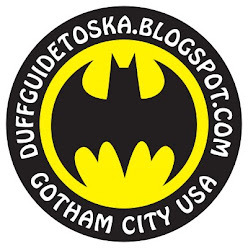 Check out The Duff Guide to Ska reviews of some of her previous releases--the "That Very Night" b/w "Milk and Honey" single; her amazing self-titled debut album; the "Looking for Real Love" b/w "99" single; and her most recent "Superstar" b/w "Superdub" 2017 RSD release. 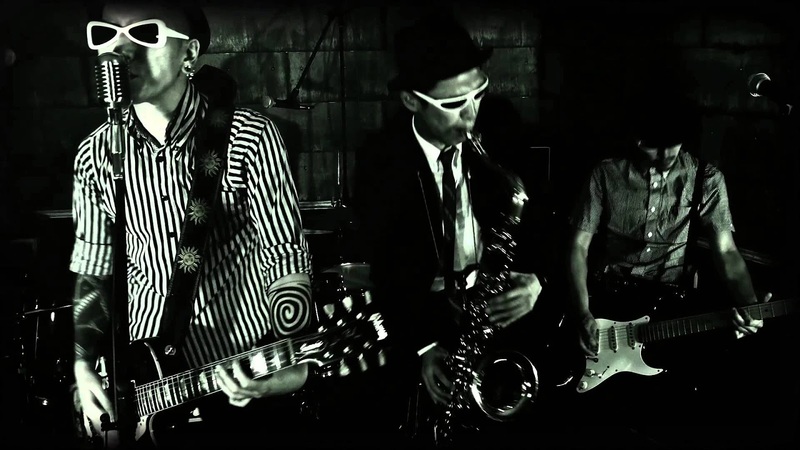 Melbourne Ska Orchestra To Release One Free Track Each Week in 2018! 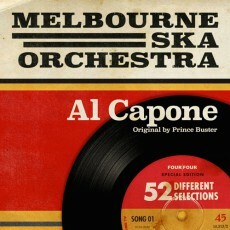 It's a nutty, but truly inspired idea--the Melbourne Ska Orchestra intends to release one song per week during 2018 as part of their "52 Selections/One Year of Ska" project (52 weeks in a year, right?). 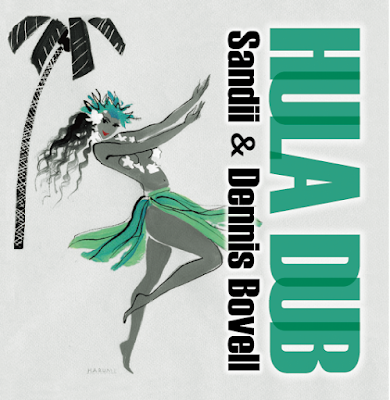 So far, they have released terrific covers of Prince Buster's "Al Capone" and Justin Hinds and the Dominoes' "Botheration." All tracks are available for sale/streaming (you can listen to both songs via the links above) through a host of services, including Google Play, iTunes/Apple Music, Spotify, and YouTube. You can sign up to receive email notifications reminding you when a new track is available (each Friday). 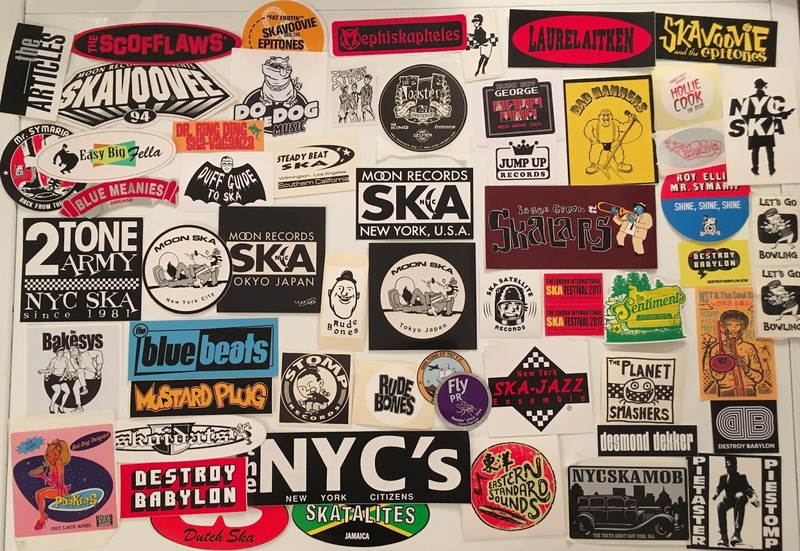 This is an extraordinary promotional effort by the band--and a big gift to ska fans around the globe. The Autocratics are not playing here (yet?). 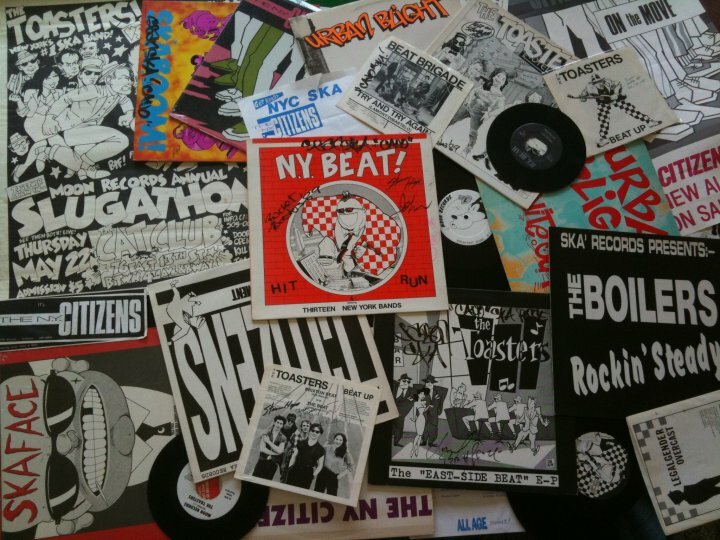 Unrelated image of releases and posters from NYC area ska bands. Destroy Babylon Shapeshifters (CD/digital, MusicADD, 2017): A concept album of sorts, Destroy Babylon's extraordinary Shapeshifters is a collection of angry and defiant post-punk, rock, and reggae protest songs aimed at the heart of Trumpism. Beginning with the question of "how much do you pay for protection" (from the police and criminals roaming the streets), the songs traverse a systemically racist, violent, authoritarian-leaning, war-crazy, unfettered capitalist dog-eat-dog American landscape, ending with the singer's demise at the "business end of a knife." In the midst of this, there are pleas for tolerance ("Judgement": "Hey! Leave your judgement unspoken/Shouldn't matter to you if we're living atypical lives/No, we're not gonna hurt nobody/We need no alibi"), a rumination on mortality ("Teeth Dreams": "Got a handful of my teeth staring at me, oh well/Got a long list of things that I can’t be, oh well/Got a lifetime full of enemies/I still curse missed opportunities/with this infinitely finite me, oh well"), and a song about being lulled into apathy, despite one's best intentions otherwise ("Drift": I wanted everything to change/While I stay the same/But I just drifted away")--even a classical instrumental with flute and strings called "Dance of the Demagogues"! It's one of the most unique, compelling, and disturbing records I've encountered this past year (and keep coming back to). Give it a listen! Version City Rockers Fortitude (CD/digital download, Stubborn Records, 2017): As its title might suggest, there's an Old Testament, God-of-wrath vibe permeating this record. Despite significant personal and professional setbacks over the past decade--betrayal, flood, destruction, illness, and several deaths of friends and family--King Django's Job-like grit and determination to persevere (and triumph) in the face of repeated adversity are embodied in this amazing album. Based on the single--but remarkably durable--"Fortitude" riddim Django created back in 2002, this album collects sixteen versions by various dancehall and reggae greats (who contribute their own melodies and lyrics/toasts of positivity); two-thirds of these cuts were issued on 45s via the Freedom Sounds/Jamaican Version City label in 2007-2008, while the remainder are new and previously unreleased. I'm partial to takes by Johnny Osbourne ("Let There Be Love"), Prince Alla ("We No Want No Bomb"), Pompidou ("Selassie I Rule"), ex-Toaster Jack Ruby, Jr. ("Action Time"), Little John ("I Feel Good"), P-Dub ("Solitude"), Kapaichie ("One for All"), Carlton Livingston ("Vex"), and Drew Daniels ("Talk About Love")--and completely relate to King Django's mid-life perspective "The More I Learn" ("... it seem the less I want to say/Things I knew just yesterday/I'm not so sure today/I used to think in black and white/But now it's shades of gray/With open eyes and mind/For all that I survey..."). Each track is beautiful in itself, but taken as a whole, Fortitude is a powerful and profound body of music and message. Use as needed. Duff Review: Susan Cadogan "The Girl Who Cried Over You" Single! 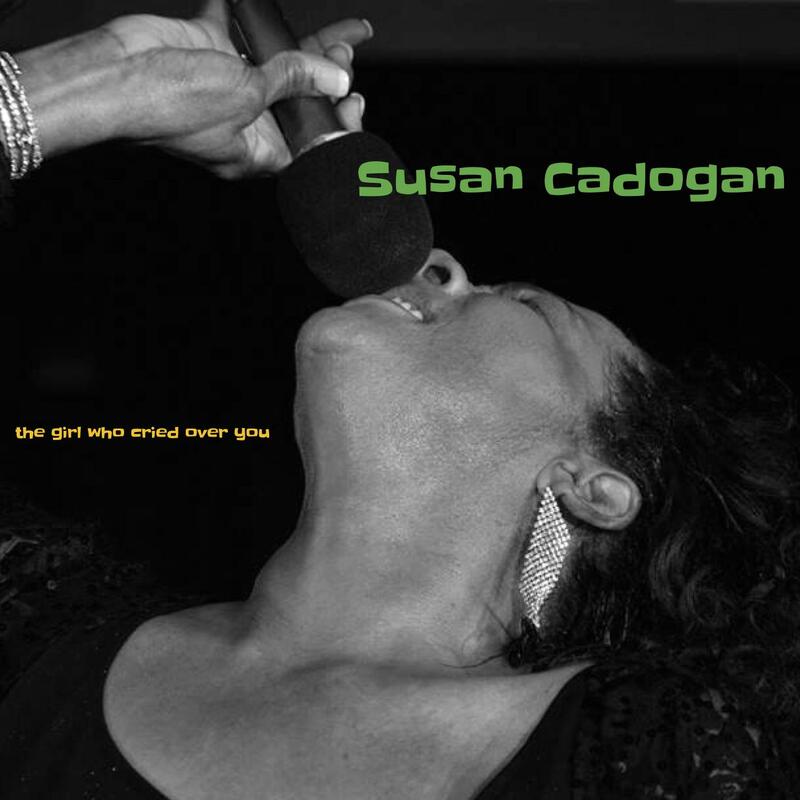 The first day of 2018 brings two new shimmering ska tracks from Susan Cadogan (who, lucky for us, continues her incredibly fruitful long-distance collaboration with the wonderfully gifted producer, songwriter, and musician Mitch "King Kong" Girio). "I Don't Want Anybody But You" (co-written by Girio and Michelle McKibbon) is about coming to the surprising but profound realization that you've found the person to spend the rest of your life with ("When the TV’s barking the news and bringing me down/And I’m stuck at the bottom/You pick me up just to carry around/Saying you’re not forgotten/My heart is telling me something.../I don’t want anybody, but you"). "The Girl Who Cried Over You"--where the singer is devastated over a relationship gone bad but won't let go--is borrowed from the 2015 Fabulous Lolo (AKA Lorraine Muller of The Kingpins, etc.) Meets King Kong Girio My Favourite Heart to Break album. Few singers express the highs and lows of romantic love so well as Cadogan. One listen to these tracks and you'll already have heard some of the best ska that will be released in 2018.